The organising committee of Riding the Waves of Change welcome sponsorship support for this highly anticipated conference. You can download the sponsorship prospectus here. We are excited to announce that NSW Health are our Platinum Sponsor and we are already welcoming sponsors who will be taking Trade Displays at Kiama. UPDATE: WE HAVE NO TRADE TABLE SPACE LEFT! PLEASE CONTACT THE OFFICE FOR ANY OTHER SPONSORSHIP OPPORTUNITIES. We are pleased to welcome our Platinum Sponsor – NSW Health. We are excited to welcome HammondCare as our dinner sponsor – thank you for your support! Aidacare is one of Australia's largest Healthcare Equipment and Service providers. For years our business has been assisting Australians in the Hospital, Residential Aged Care, Home, Community Care and Rehabilitation sectors. Our focus on product quality and ongoing services and support has made Aidacare and Aspire trusted brands throughout Australia. Althea Company Pty Ltd is an Australian-owned licensed importer and manufacturer of medicinal cannabis based in Victoria. Our mission is to improve the lives of patients suffering from debilitating conditions by facilitating access to high-quality medicinal cannabis. caring@home resources are now available Australia-wide for community service providers, health care professionals and carers to support carers to help manage breakthrough symptoms safely using subcutaneous medicines. The resources aim to improve the quality of at-home palliative care and support people to be cared for and to die at home, if that is their choice. Medtronic Targeted Drug Delivery is a treatment that delivers pain medication directly to the intrathecal space, via a surgically placed programmable drug pump. It is for individuals who no longer receive sufficient relief from systemic medications or are experiencing intolerable side effects from their pain medications. Mundipharma provides healthcare that enables Australians to live well and age well. We improve patients’ lives in meaningful ways by providing effective therapies along with educational tools that support their proper use. Mundipharma Australia is a member of a global network of independent associated companies which are engaged in research, development, production and marketing of prescription medicines and healthcare products in our fields of expertise across areas such as pain, oncology, respiratory disease, rheumatoid arthritis and antisepsis. Silver Chain is a not-for-profit organisation delivering community health and aged care services across Australia for over a century. Our services empower our clients to live confidently in their own home by offering home hospital, specialist nursing, palliative care, home care, support services and allied health services. The Local Hero table is an initiative of our Palliative Care Services to showcase some of the outstanding community and social projects that are contributing to the enhancement of living and dying experiences in the Illawarra region. 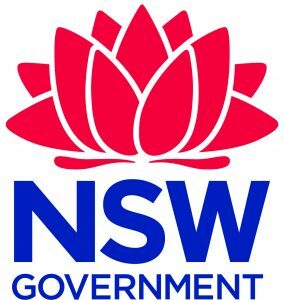 The local hero table will also extend to highlighting the presence of PEPA NSW and their contribution toward learning ad educating our workforce.